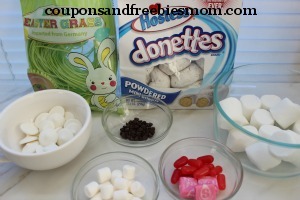 When Easter rolls around I always want to give my kids fun treats to help celebrate one of my favorite holidays! 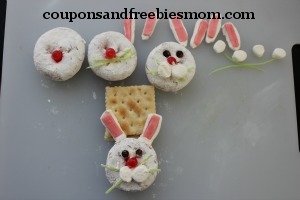 These Easter Bunny Mini Donut Treats are a great way to serve up breakfast in a fun and whimsical way that will make them happy and put smiles on everyones faces! These are also a great treat to make with your kids to take to class parties, Sunday School class events and to share with friends and neighbors. 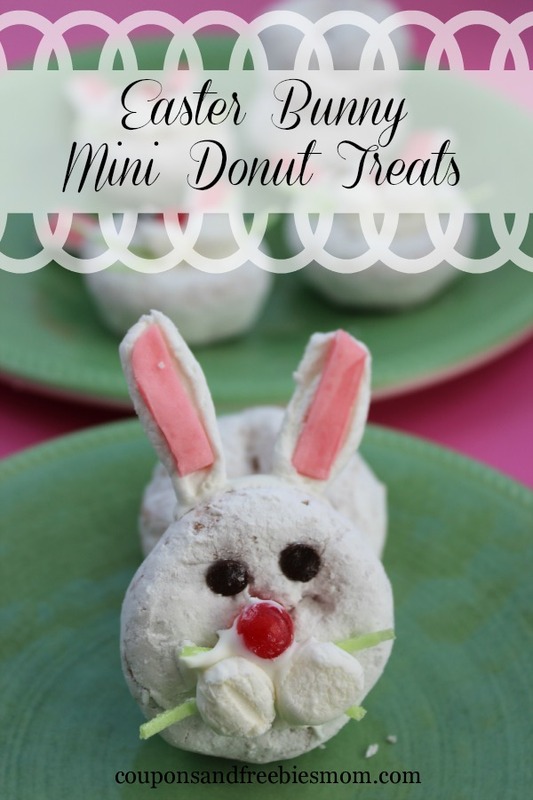 These fun Easter Bunny Mini Donut Treats can be made with powdered sugar, chocolate or coconut mini donuts for different colored bunnies. Decorate with other candies if desired for a great little group of cute edible treats the whole family will love. Don’t miss out on all of our great Recipes posted here every day!